Big box bound for west downtown? Hawkins Co. & LocalConstruct are moving closer to developing a big chunk of ground in the west downtown area. The site at Fairview and Whitewater Park Blvd. is massive and would be split in two by a new road. On the east side is room for future mutl-family housing. The west part of the parcel is being pitched for retail and parking, adjacent to the hoped-for CWI campus. 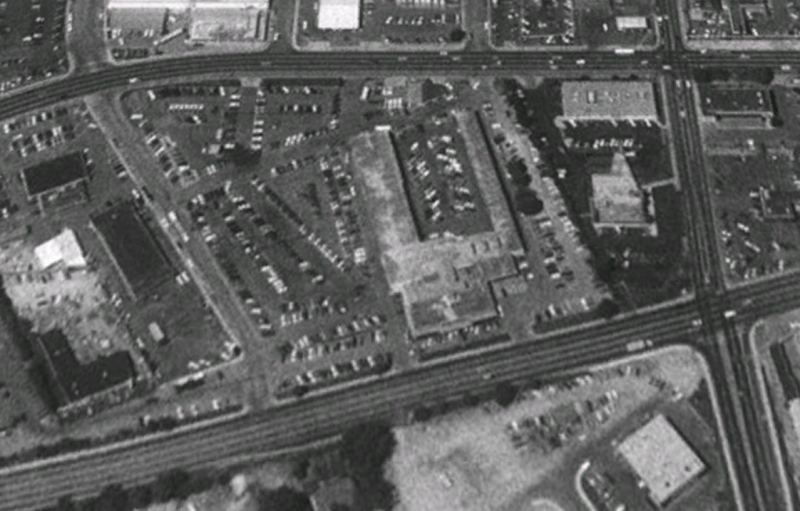 The site was last fully utilized as the home for the Roundtree Chevrolet car dealership – which closed in 1997. 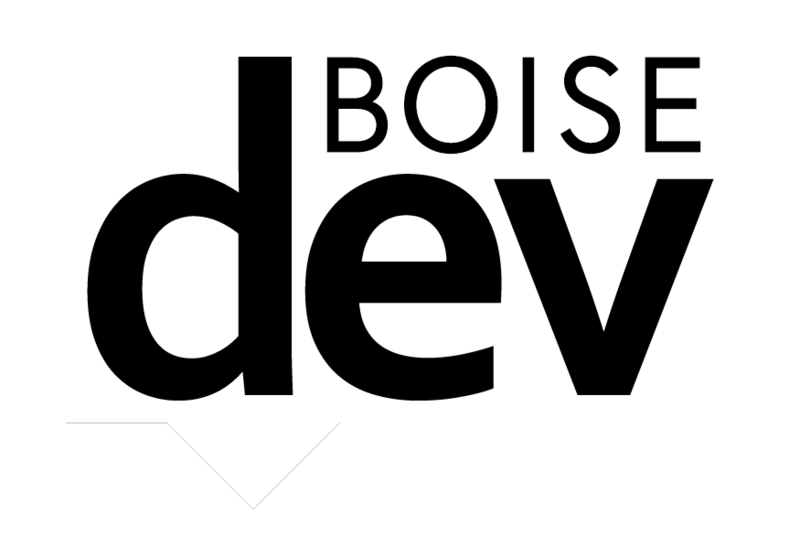 At one point, the City of Boise acquired the site for a new headquarters for Boise Police Department. 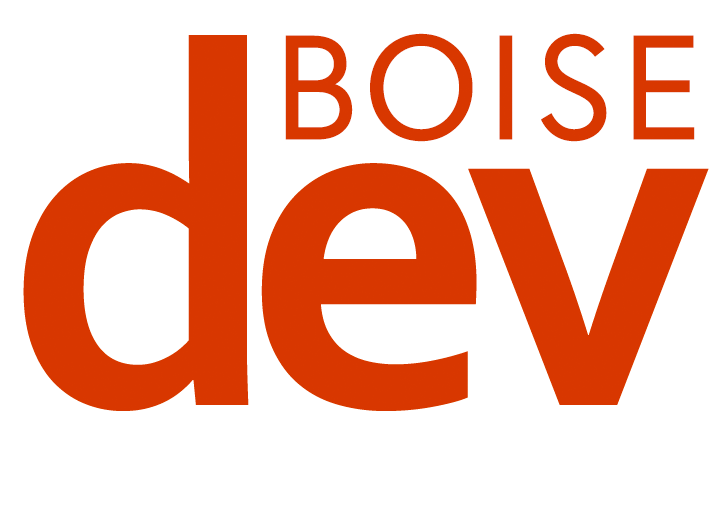 Those plans were later scrapped and BPD moved to west Boise. 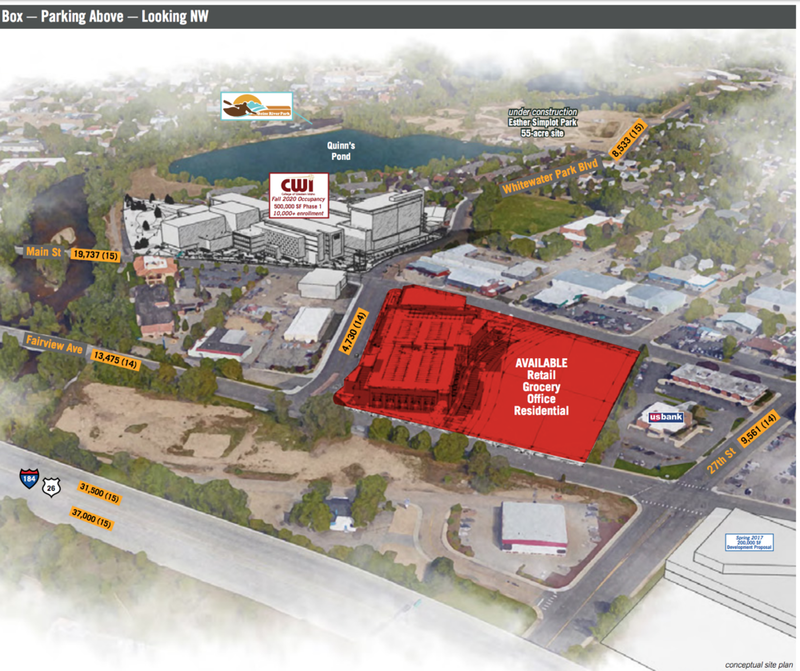 The sales sheet from Hawkins Companies is high on a grocery store tenant, and features two options for a 65,000 square foot big box store on the site. One of the plans would include 190 parking spots in an above-ground parking garage while the other would feature 258 total spots, with most of them below ground. See the concepts below. Sixty-five-thousand square feet is quite large. 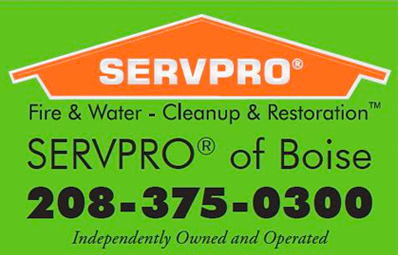 The average Albersons store in the Boise area is roughly 50,000 square feet. The warehouse-style WinCo Foods locations are typically 85,000 square feet. While a grocery store is the pitch – what brand would make sense here? Albertsons’ original store is just a few blocks away at 17th and State and is unlikely to be abandoned for historic reasons. WinCo already has a store in the core area. Ditto Whole Foods, Boise Co-Op and Trader Joe’s. 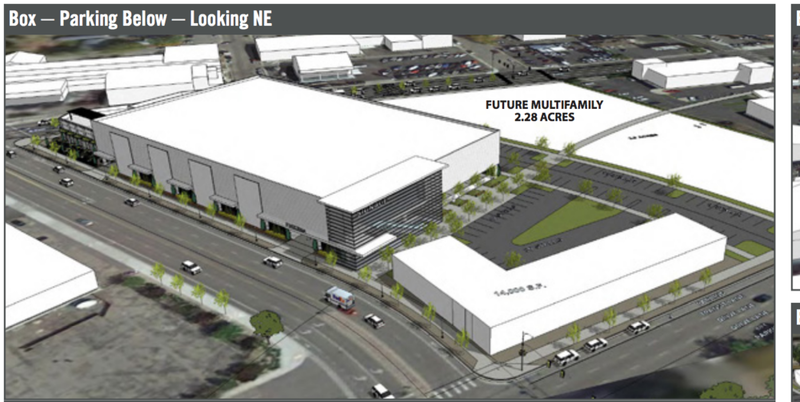 The site is likely too small for a Fred Meyer, which usually takes up 140,000 square feet or so with its department store/grocery format (and this site is perhaps too close to the Franklin & Orchard store). That leaves only three real possibilities, if the site is ultimately to be a grocery store. A retailer that’s not already in the market. This isn’t particularly likely, but not impossible. Roseaur’s. The Spokane-based grocer currently only has one store in the market – along Ealge Rd. in Meridian The lack of density means its ad dollars are not particularly effective and they have little to no economies of scale. A store in the downtown area would be a good distance from the existing outlet. The only ding here is that Roseaur’s has been in the market for several years and has stuck with just one location. Walmart. The nation’s largest retailer has been slowly spreading across the Boise market. 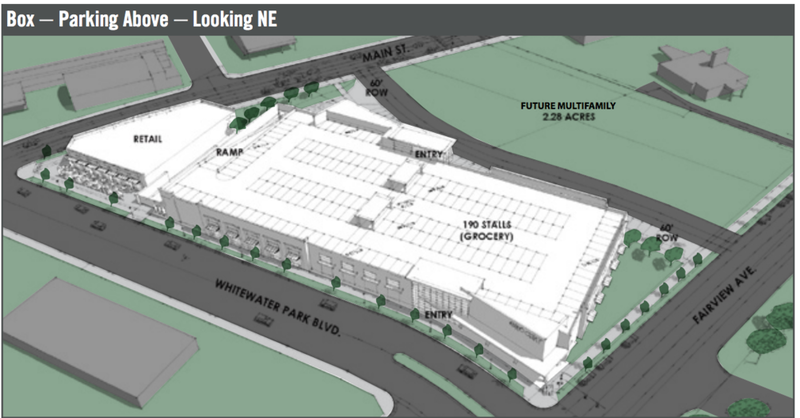 While the Whitewater site is far too small for one of the retail giant’s supercenters, it would be about the right size for its neighborhood market concept. The retailer opened this type of grocery store at Ustick and Cole in 2012 – and it measures just 44,000 square feet. 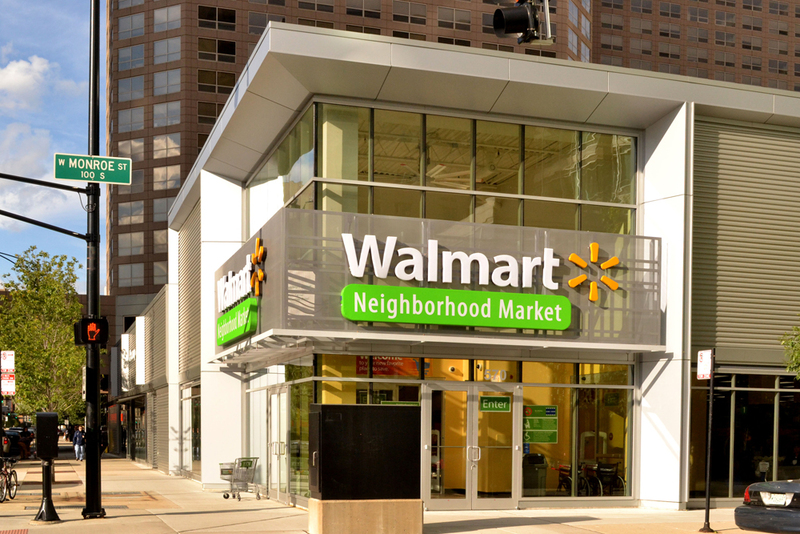 Plus, Walmart has no presence in the core or east part of Boise. This could be a great site to infill its current patten. I’m not sure it is what the folks at CCDC or in city hall hope to see… but it’s an interesting thought. At the end of the day, Hawkins Companies may not be able to net a grocer – or even a big box. It could chop up the 65,000 square foot space into smaller chunks, or go with a different plan all together.